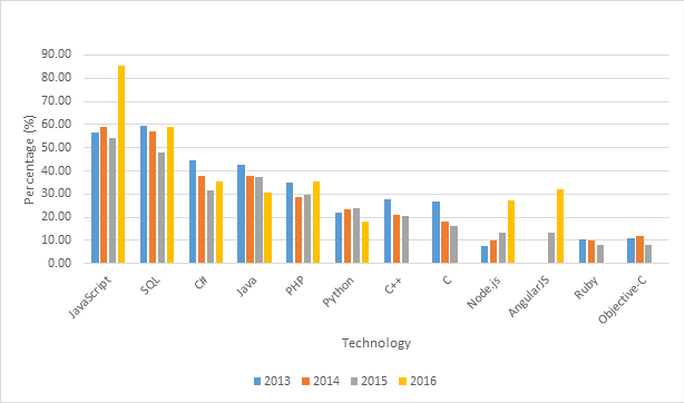 I was curious about how the SQL language stands with the other technologies. Next table shows it. The data is taken from StackOverflow. Charted data looks like in the next figure. 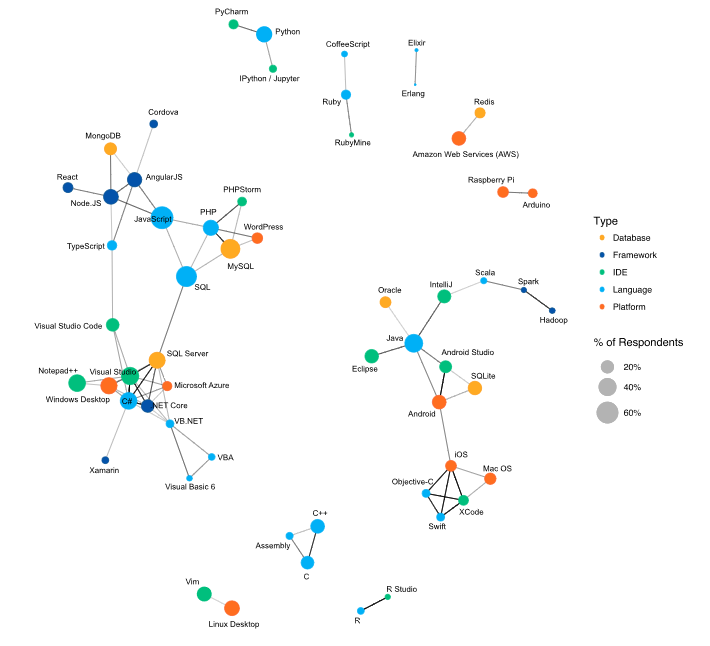 Next figure gives the relationships between the technologies, where SQL is there as well. This entry was posted in Technology by Igor Micev. Bookmark the permalink.